» Edmonton 101 » How Did Edmonton City Get Its Name? How Did Edmonton City Get Its Name? The prairies, where the city of Edmonton now lie, used to be the center of the first business activities. There are many differing accounts as to how the city of Edmonton in Alberta was named. Some of these accounts have come into light in previous years, but only one was proven to be backed up by historical accounts. In 1795, the Hudson’s Bay Company established their first trading outpost in the prairies. It was in this period that competition was fierce against the North West Company for the monopoly of the fur trade. This first outpost was built near the banks of the North Saskatchewan River, where Aborigines such as Cree and Blackfoot Indians brought animal pelts for trade. The first outpost of HBC was named Edmonton House in honor of the Company’s Deputy Governor Sir James Winter Lake’s manor in a town in England of the same name. There are actually five Edmonton Houses that were built on the frontier throughout the years of the Fur Trade. Three of these fronts are located within the present scope of the city of Edmonton, while one Fort Edmonton is located near Pakan, Alberta. Some accounts also speak of how a William Tomison chose the site for the first outpost on the north bank of the river and named the town after a member of the Committee of HBC or the place where that committee-member resides. Eventually, the town that grew around these five forts was named Edmonton. The Fur Trade eventually gave way to the Gold Rush years where explorers stopped by Edmonton to take the so-called â€œAll-Canadian Routeâ€ in the 1890s. 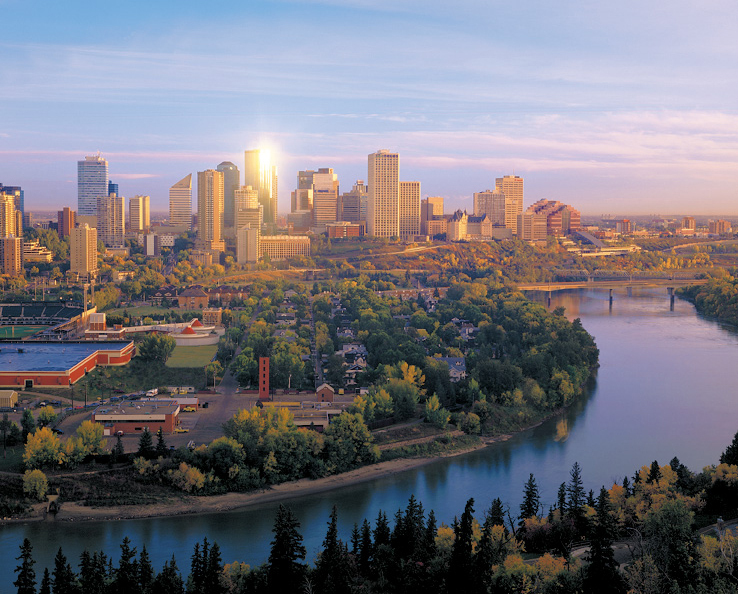 Edmonton became a city in 1904 and housed a population of almost 8,500 residents. Published on Sept 12, 2011 by Robert C.